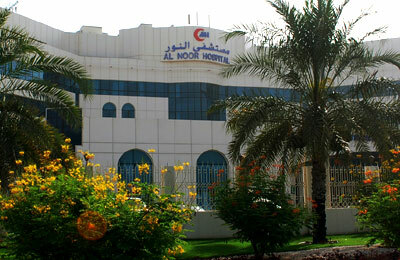 Abu Dhabi healthcare firm Al Noor Hospitals will focus on growing its business in its domestic market this year, its chief strategy officer said on Monday, after reporting a slight increase in 2013 net profit. In its first full-year financial results since going public, the oil-rich emirate's largest private healthcare provider reported a net profit of $61.7 million for 2013 compared with $60.5 million in 2012, according to a statement. Revenue for the group, which operates three hospitals and 12 clinics in the United Arab Emirates, rose 12.5 percent year-on-year to $365 million in 2013. The results were broadly in line with expectations, although the number of revenue-generating physicians added was slightly below forecasts, Jefferies said in a note. Al Noor has proposed a dividend of 9 pence per share for 2013, the statement added. Sami Alom, chief strategy officer at Al Noor, said on a media call that Al Noor was focused on growing its business in the UAE in 2014 and was looking at opportunities across the Gulf Arab state. The group planned to open two new centres in Abu Dhabi in the first quarter, one of which had already started operations, he said. It also completed the purchase of a cancer centre in Abu Dhabi for $21.8 million in February. Al Noor was looking to expand its presence in Dubai, having entered the market through an acquisition in the fourth quarter of last year, following the planned introduction of universal health insurance in the emirate. "We hope to have a stronger presence in Dubai by year-end," Alom said on the call. "2014 will be about focussing on the UAE as we see so much potential there." Dubai's ruler approved a law in November, to be phased in over the next three years, requiring all employers to purchase health insurance for their expatriate staff, a move expected to bring the remaining half of the emirate's 2.2 million population under coverage.